Florida residents can experience Discovery Cove at an exclusive rate. Named the No. 1 theme park in the world by Trip Advisor 2013 Traveler’s Choice Awards, Discovery Cove is offering savings available through Dec. 31, 2013, where Florida residents can enjoy a Dolphin Swim Day Resort package for $219 plus tax — a savings of up to $70 per person — and a Day Resort package, which includes a full day stay without the dolphin swim experience, for $149 plus tax. Florida Residents can enhance their day with an upgrade for $49 to experience SeaVenture, an underwater walking tour where guests, wearing dive helmets, find up-close encounters with sharks, one-on-one touches with unique animals and schools of fish and gentle rays. 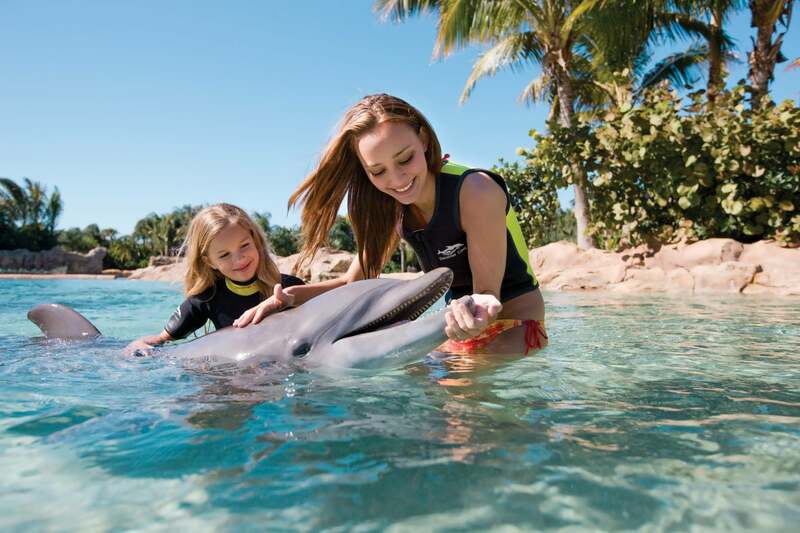 Plus, with the purchase of any Discovery Cove package, Floridians also receive unlimited admission to SeaWorld AND Aquatica, SeaWorld’s Waterpark, where they can create even more memories at family-friendly events such as SeaWorld’s Halloween Spooktacular and SeaWorld’s Christmas Celebration. SeaWorld’s Halloween Spooktacular is sure to bring waves of Halloween fun this season with trick-or-treating, dancing with lovable sea creatures, laughing at silly and spooky shows and creating sea-themed arts and crafts. And for the holidays, guests will be immersed in the holiday spirit at SeaWorld’s Christmas Celebration. From Santa to Shamu, holiday traditions are made at SeaWorld with special holiday-themed shows and spectacular nighttime entertainment like the glistening dazzle of the Sea of Trees. Guests can explore Antarctica: Empire of the Penguin and the wonders of the sea at SeaWorld Orlando, or experience thrilling attractions and amazing land animals at Busch Gardens with the all-new $50 Weekday Ticket, on sale August 1 through December 20, 2013, for $50 for a single-day admission, Mondays through Fridays. The $50 Weekday Ticket is available online to U.S. residents at SeaWorldOrlando.com or BuschGardensTampa.com or by calling (888) 800-5447. Abida Haling – While SeaWorld doesn’t flatout offer discounts to everyone (if they did, it wouldn’t really be a discount – it would just be their regular pricing), one really great feature of the SeaWorld park is that all their annual events are included with regular admission. If you can visit during Halloween Spooktacular or their holiday events, even a full price ticket is a great value. Now Derek’s gone the big 5 is gone… What happened? Abida it’s the perk of actually living in Florida. Florida resident discounts gets locals in the park where they may not come otherwise.